London, 01.05.1903, Lease of 321, 323, and 325 St. Leonards Road Bromley, Rent £ 90, 37 x 24,5 cm, rot, schwarz, beige, Knickfalte quer, 10 Seiten, Schätzpreis: 30 €. 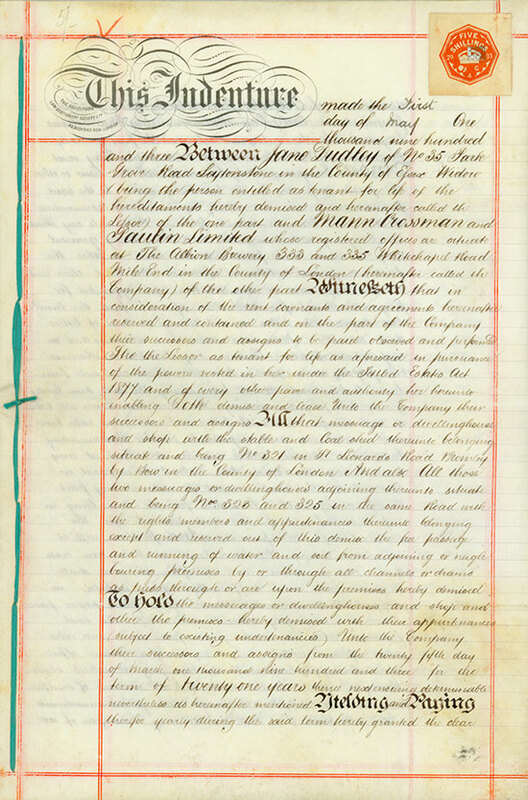 London, 1 May 1903, Lease of 321, 323, and 325 St. Leonards Road Bromley, Rent £ 90, 37 x 24.5 cm, red, black, beige, horizontal folds, 10 pages. Estimate: € 30.